I am reaching out to you on behalf of my niece, Sarah Clements and here is her story. My name is Sarah Clements and I was born the day after Christmas and am 23-years-old. At six-months-old, I was diagnosed with Cystic Fibrosis (CF), a chronic lung disease that can affect the body in many different manners, although the lungs are CF’s primary target. I get many respiratory infections, have had numerous hospitalizations and surgeries and have a hard time staying properly nourished (I have a feeding tube and am often malnourished). Now my disease has progressed to the point where I need a double lung transplant. Six years ago I was blessed beyond measure with the birth of my daughter. I had been told that I would never be able to carry a baby to term. I have been able to watch her first steps, hear her first words, taught her how to write and have shared holidays with her. I have also been away from her due to hospitalizations and have missed other milestones in her life – birthdays and school trips just to name a few. A transplant will allow me to have a second chance at life – I want to run and jump with my daughter, play outside and go on school trips with her. I am engaged and now have a wedding to look forward to. Even with insurance I will have many uninsured transplant-related expenses such as: co-pays and deductibles, doctor visits, travel to and from the transplant center and the costly immunosuppressant medications that I will need to take for the rest of my life. To help with this financial burden, a fundraising campaign in my honor has been established with HelpHOPELive, a trusted nonprofit organization that has been providing community-based fundraising guidance to patients and their families for more than 30 years. All donations are tax-deductible, are held by HelpHOPELive in the South-Atlantic Lung Transplant Fund, and are administered by HelpHOPELive for transplant-related expenses only. Please consider making a tax-deductible donation today by clicking the DONATE NOW button. Thank you so much for your prayers and support — together we can make a difference for Sarah and have her daughter grow up with her mom! On Saturday May 9th Sarah was able to return to Covington for the weekend and joined family and friends for a celebration of her 2 month milestone. She is such an amazing and determined young lady. We are so proud of her!!!! She still has until June 10th in Nashville to continue her physical therapy and testing. This has been such an amazing journey and to see her progression into a healthy, vibrant young lady again is such a blessing. I’ve posted a picture of her and her fiancé David from this weekend in her photo album. Please continue to pray that her recovery will progress at this amazing rate and on behalf of my family and Sarah we thank you all for your donations. We will continue our efforts to raise money to help with her life long medical needs and welcome your support and prayers. It’s been a month now since Sarah received her new lungs! She is doing amazingly well all things considered. Sarah’s had a couple of minor set backs but they are to be expected given her surgery. She’s learning to breath again and actually having the energy to walk without issues. We are so amazed at how far she’s come and know that it will only get better for her. Her focus now is controlling her sugar levels, gaining weight and learning to live with all the different medicines she’s required to take. She’s is so optimistic and has such a wonderful outlook. She is beyond amazing. Thanks to everyone for their prayers and support. Please continue to pray for her as we move through the new 2 months that she will be required to remain in Nashville to be close to Vanderbilt. We are looking forward to when she can return to Covington to be with her daughter for good. We appreciate all the donations made and know that every penny will be used to help with her continuing medical expenses. Life is so precious – enjoy each day! Just wanted to give everyone an update on Sarah. She is making amazing progress. Each day is precious and full of hope and healing. She’s able to breath better now than she has in many years. She’s attending therapy classes each day and attending her many various doctor visits. Trying to get her medication regulated which has caused some issues with her sugar levels. We are confident they will get this worked out soon. Best news of all – No signs of rejection!! 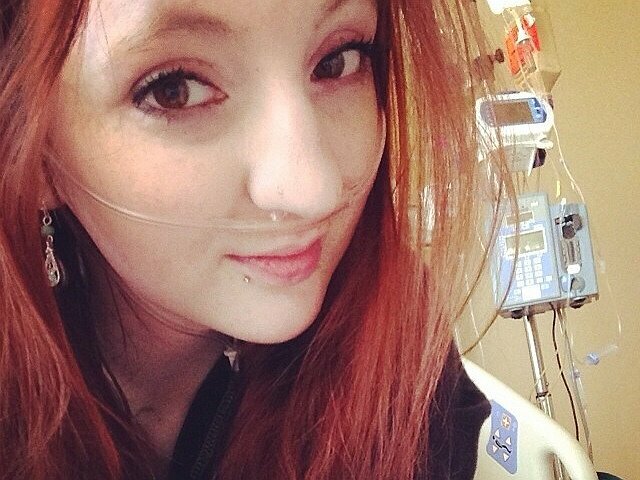 Sarah had her double lung transplant at Vanderbilt on Tuesday March 10th. She was taken off the ventilator less than 24 hours after the transplant and breathing with her new lungs!. This has been such a blessing and just in time according to the doctor’s. Sarah is already sitting up and walking and learning to breath again after years of struggling. We have been so amazed by her progress and her positive attitude. She’s an incredibly lucky person and while we celebrate her new lease on life, we have to also be grateful to the donor. It’s a joy for us and heartbreak for a family that has lost a loved one. Please remember this family in your prayers. Thanks to everyone for their love and support. We hope that you are able to help with a donation as Sarah goes through the next phase of recuperation in Nashville. She will be there until mid-June. Thanks to everyone for their love and support. Sarah is recovering at home after being in the hospital in Vanderbilt after the Christmas holidays. She is doing well and anxiously waiting for a call to begin her transplant process. Keep her in your prayers! Sarah is currently undergoing testing at Vanderbilt in Nashville for a double lung transplant needed as a result of the progression of her Cystic Fibrosis disease. Keep striving for wellness and stay positive, prayers are with you and your family! Sarah, I wish all the best for you thru this journey, I will be praying for a good recovery. It's amazing to see how much of an improvement you have already made! Good luck and well wishes! As a friend of your cousin Faye, I want to send prayers for you and hope that my little part will help you in your journey in this miracle of life. Sarah, just wanted you to know that you have the love and support of so many people. My friends and co-workers have been amazing in making donations to support you in your efforts to raise money. I have faith that you will achieve your goal.